Talking Freds – Meet Communications Director, Dani! In the first of our new series, Talking Freds, we’d like you to meet our Communications Director, Dani Sewell. Dani has worked in PR and Communications for over a decade since graduating from the University of Hull and brings a range of specialist experience in sectors including marine and commercial fisheries, education and manufacturing, and disciplines such as stakeholder engagement and internal communications, as well as traditional PR and business strategy. Well, PR has given me a career that I love, working with a whole host of industries that I knew nothing about before, so it means quite a lot! What attracted me to this industry in the first place was the desire to understand what factors affect and influence how people feel about your business. These days, how you do business and the impact of that is just as important, if not more important, than what you do or sell. PR has a huge part to play in that, so it’s more important than ever for businesses to manage their profile carefully, both through traditional communications channels and digitally. Why do companies need public relations? Because the good management of profile, positioning, reputation and brand values of any business has never been more challenging. We have more ways to communicate than ever before, and the strategic approach to managing all of these tools and new platforms is a huge consideration. Often, businesses can make the mistake of rushing onto every new platform and pushing out content because they feel they should be saying something, without a solid strategy sitting behind their activities to make sure they are comfortable and consistent with their key messaging across the board and that they’re saying the right things. A strong PR and communications strategy will always ensure that you are reaching the right people, at the right time, with messaging that resonates with them. The businesses that get this right are the ones that stand out, build brand advocacy and survive in tough markets. Do you prefer reading the news in a newspaper, or browsing online using a tablet or mobile device? Hmmm, that’s a tricky one. Obviously, working in PR means you are constantly monitoring the news agenda to flag opportunities to clients and react where required, so mobile devices and tablets are great for that when you’re out and about – especially with regular alerts set up. That said (and much as I get loads of stick for it! ), I am a traditional girl when it comes to the Sunday papers. I’m a big fan of surrounding myself with them with a pot of coffee on a Sunday morning and really taking my time to get through them – I can’t see my tablet replacing that routine any time soon! 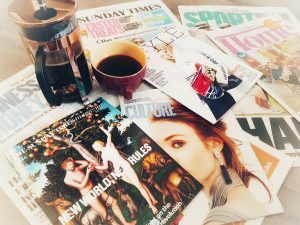 What sources of media do you follow regularly? I listen to the Today programme on Radio 4 every morning, which tends to give me a good overview of what I can expect from the day’s headlines. Throughout the day it’s a combination of online platforms but always the BBC, the Huff Post and all of the main business sites. We have a really wide range of clients in terms of their sectors and locations so I have a number of alerts set up through our in-house software to check in on the news outlets that are relevant to them, early in the day. In terms of my own time, I try to catch Channel 4 news when I can, and never miss Question Time – who doesn’t love a good debate?! What personality characteristics are most important to be successful in public relations? First and foremost, I would say the ability to connect with people is essential, so being personable, open, and empathetic as a person and a colleague is a prerequisite. Of course, that is a key part of client management, in terms of understanding exactly what they need from our services and delivery, but also in understanding target audiences and how we can best relate to them and engage with them. Aside from that, passion, drive and tenacity all come under a single group of key traits for me, as they suggest that you always commit to what you need to deliver, which is so important. Finally, in my experience, the many really great PR practitioners I know (and have worked with) all share the same ability to think strategically about how PR fits in with the wider picture of communications within a business and can take a step back to make sure that the work delivered has the most profound and positive impact possible. That’s a difficult question! Errrr… I would go with passionate, creative and wordy. Mostly coffee, sometimes tea – both very strong! For me personally, Instagram. For businesses, that would depend on the business and their audience. 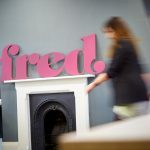 If you are looking for support with any aspect of your PR, marketing and communications, Dani and the PR team at Fred would love to hear from you. Give her a call today on 01482 227227 to find out more.